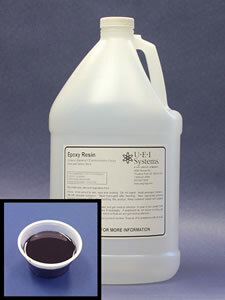 Epoxy Resin is mixed with Epoxy Hardener to make counters. Epoxy resin is colored with a black pigment in order to clearly see the image on the counter board, and make the job of relieving and grinding counters much easier. As you grind away the top layer, the layer revealed below is off-white.